I know, I know... I'm FINALLY getting these travel guides up for you guys. The fall and winter are always non-stop between events and the holidays! 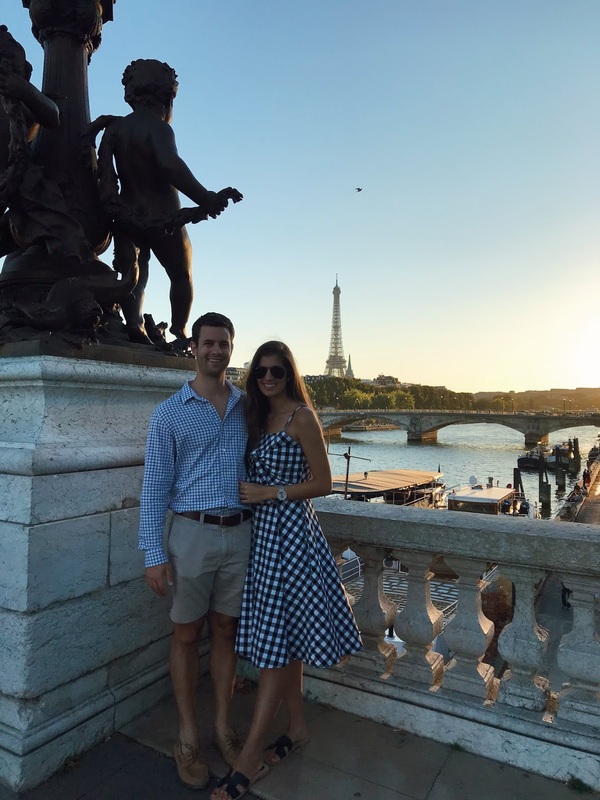 Last September, Lantz and I traveled to France for a few weeks and explored some unbelievable places! 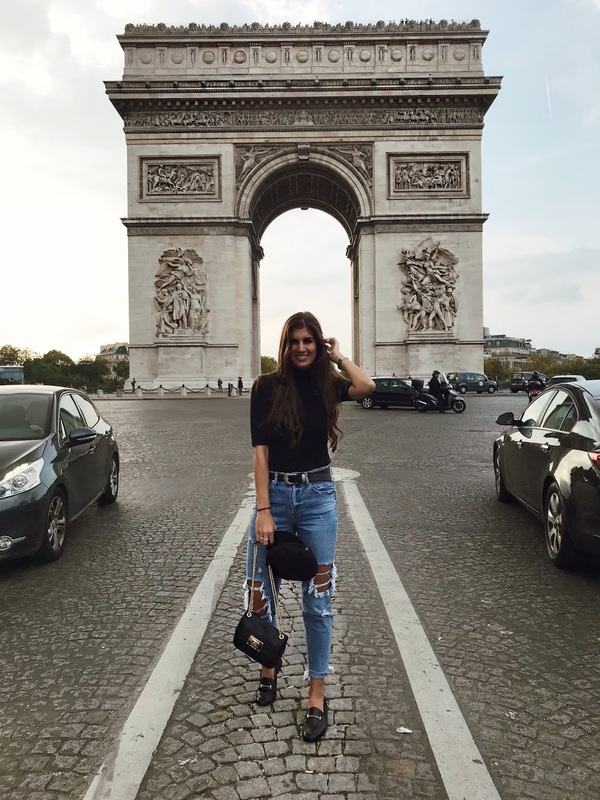 Paris was always the number one spot on my travel bucket list - I was infatuated with the city and the Eiffel Tower as a little girl. We split our trip to start and end in the "City of Love", while heading to the French Riviera for the remainder of our days. 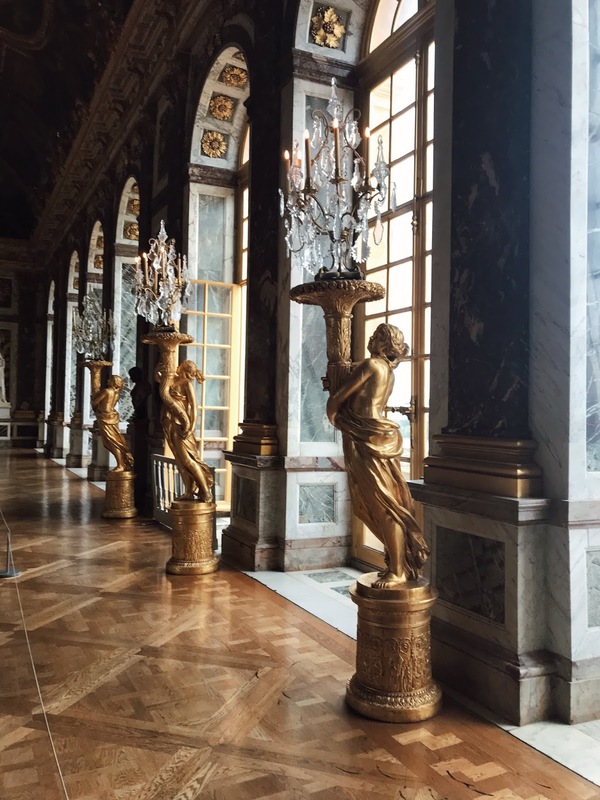 I will be covering the other spots we visited during our trip this past year as well, but below you'll find the perfect guide for your first time visiting Paris. I will be honest, my first impression of Paris was not at all what I pictured it to be like. I always imagined it to be nothing but breathtaking architecture, covered in the cutest coffee shops and full of grassy parks to picnic with some wine and cheese. While there are versions of this within the different arrondissements, I was surprised to see how city-like Paris really was. People were hustling around and the metro was comparable to the NYC subway. While I didn't mind it much, it's something to note for those that may be thinking of traveling there for the first time. Let's be honest, Paris is a high-volume tourist spot, so don't be surprised by all the street vendors and salesmen around the main sights trying to sell you a selfie stick. 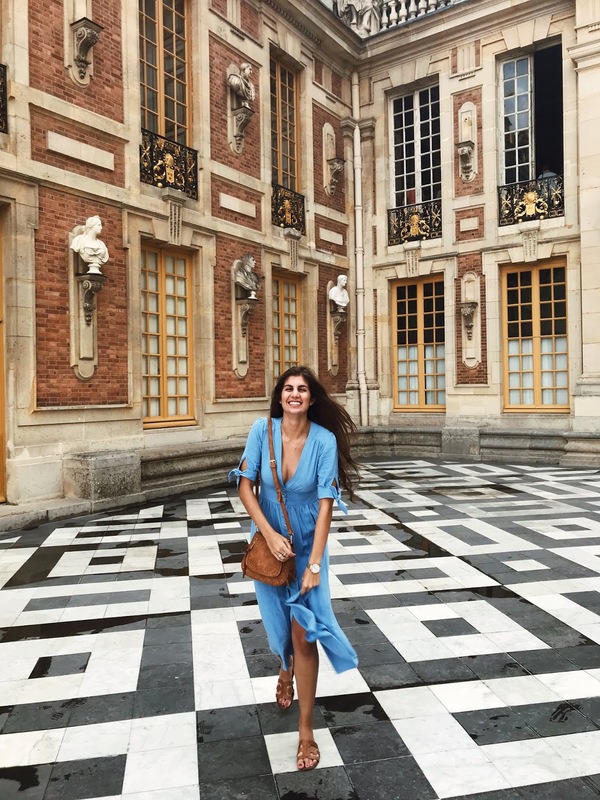 With that being said, let's move on to those spots in the city that you should be adding to your itinerary that you won't want to miss. Paris is full of charming hotels and places to stay during your visit! There are a ton of options that also include amazing rooftop terraces or restaurants with breathtaking views of the city. During our first leg of the stay, we opted for a nicer hotel with a great rooftop to enjoy while sipping cocktails or step outside before bed. Our hotel room actually had a small balcony on it as well that looked over Paris' historic Notre Dame area. Plaza Athenee Hotel (pictured above) - The courtyard of this hotel is the most beautiful thing I've ever seen.... Living walls, chic red awnings and a delicious menu for those looking to brunch or grab lunch! The inside of the hotel is adorned with glass chandeliers and marble floors. Needless to say, you'll be feelin' fancy. Shangri-La Hotel - Classic Paris right here! The hotel is beautifully decorated with luxe fabrics that will make you feel like a royal. Honestly if staying here for a few days, splurge and get the room with the balcony - you won't be disappointed. 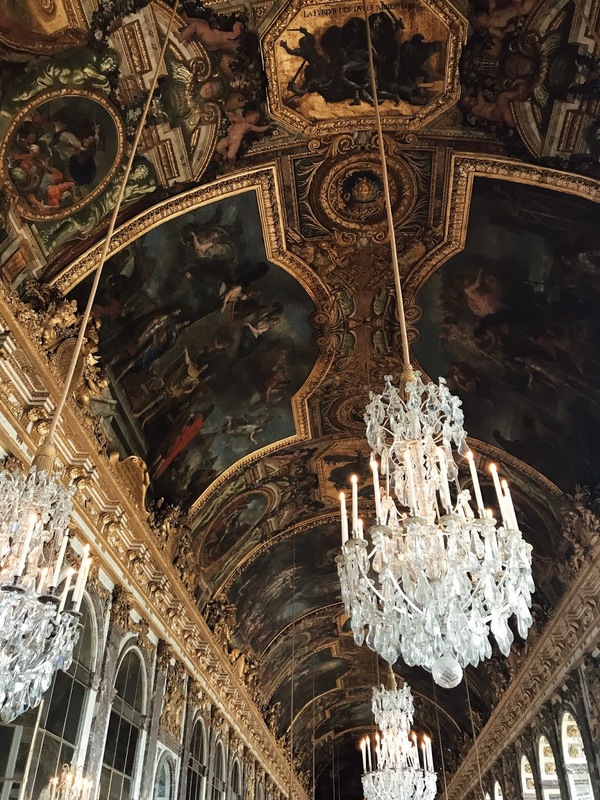 Park Hyatt Paris-Vendome - A slightly more affordable option, but still chic. I always find it funny to see or stay at popular American hotel chains overseas. Typically, they look incredibly nicer and are usually well-priced for the accommodations. Keep in mind that the hotel star ratings overseas mean much different things than in America. Lantz and I typically stay at 4-star hotels with very reasonable rates (you should never book anything lower than three stars). Hotel Providence - The wallpaper in this hotel alone is a work of art! This trendy boutique hotel is sure to fit your needs, including the personal in-room cocktail bars. 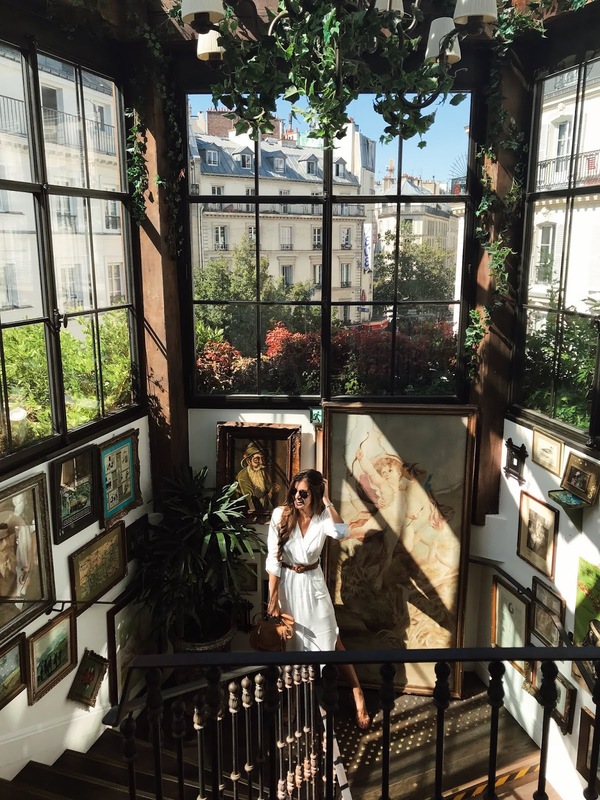 Hotel Daniel Paris - This spot is surrounded by some of the most beautiful Parisian fashion boutiques, and boasts an elegant and intimate vibe. The garden-themed lobby is absolutely stunning with so many works of art from Chinese culture. 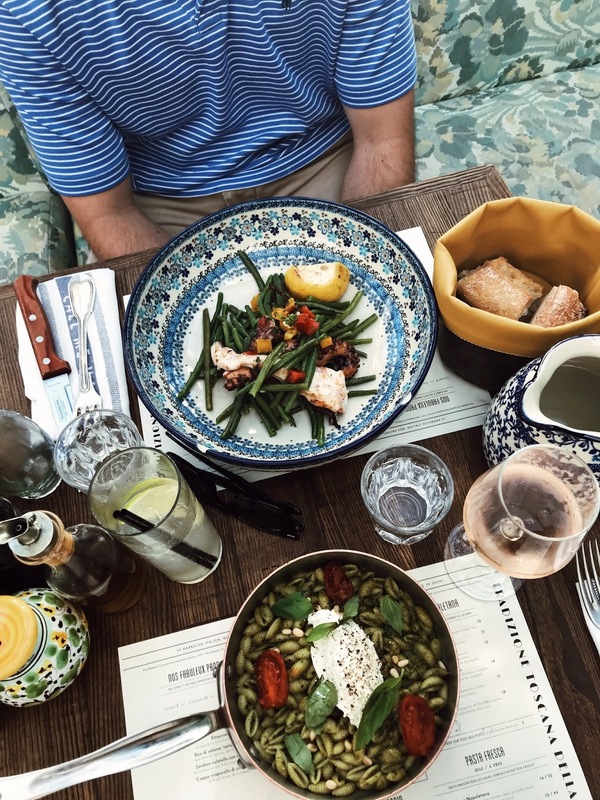 Now that you're nestled into your French digs, lets talk eats! If there's one area that I extensively research before heading on any trips, it's restaurants and bars. 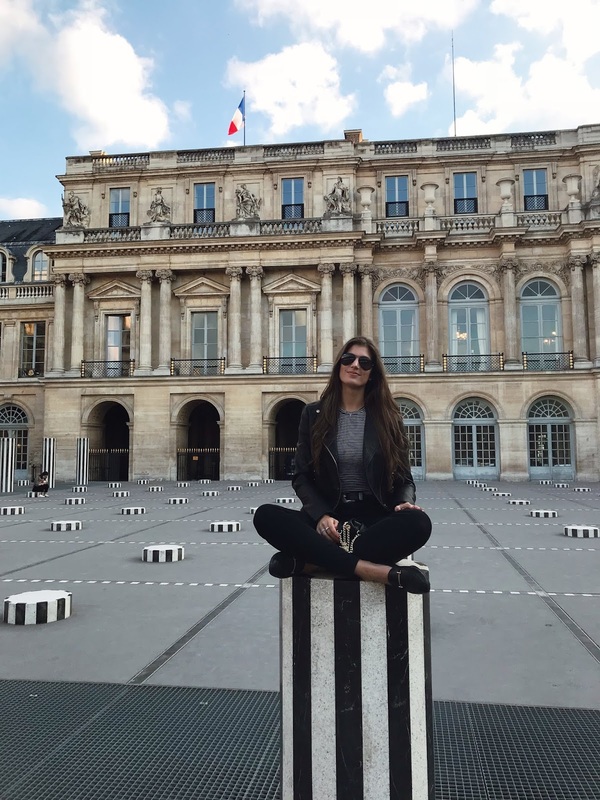 It was tough to narrow down spots in Paris - there are SO many to choose from! So I decided to break them down by type of food or service that you may be looking for to help narrow down your search. Cafe Oberkampf: relaxed and a little outside of the busy part of the city. 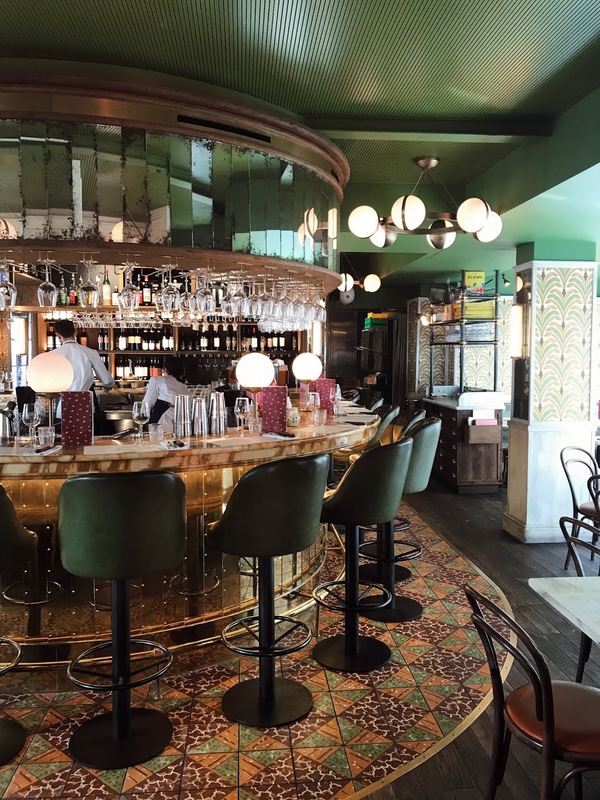 Cafe Flore: beautiful decor and wonderful food for any time of the day. Holybelly: probably one of the best breakfasts we had, but recommend going during the week to avoid the line on the weekends. St. Regis: located near Notre Dame, great spot for any time of the day. Wild and the Moon: didn't make it to this healthy, juice bar spot, but a friend recommended them! L'Avenue: the trendiest spot ever, brings out all the Kardashian vibes. Pink Mamma: THE BEST. PLACE. EVER. Currently trying to figure out how to bring one of these to Tampa. Everything on the menu is delish - we tried the octopus and pesto pasta (pictured above). Merci in Le Marais: grab lunch in this neat concept store. Daraco: for when you're just craving Italian. Grazie in Le Marais: pizza pizza pizza! 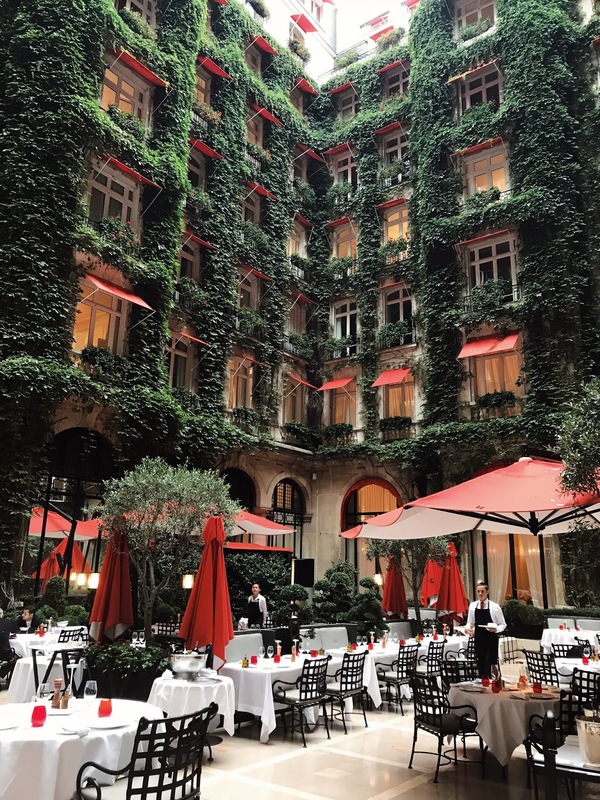 Plaza Athenee: like mentioned above, the courtyard is the prettiest lunch spot. Mary Celeste: oyster bar and cocktails. Le Progres: we didn't make it here, but heard it was a great bistrot. 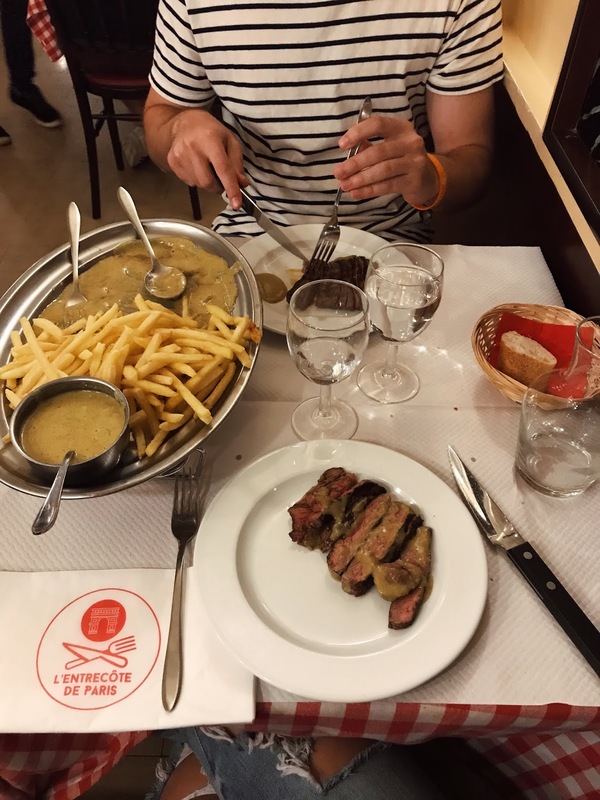 L'Entrecote de Paris: steak frites for the win - HIGHLY recommend. This spot is delish and super affordable! Balagan: Mediterranean dinner and drinks in the lounge that's attached. Bar Hemingway: this popular bar creates delicious concoctions. I suggest going right at 6pm before it becomes super crowded. Little Red Door: in Le Marais for drinks. Cafe Charlot: apertifs and people watching. 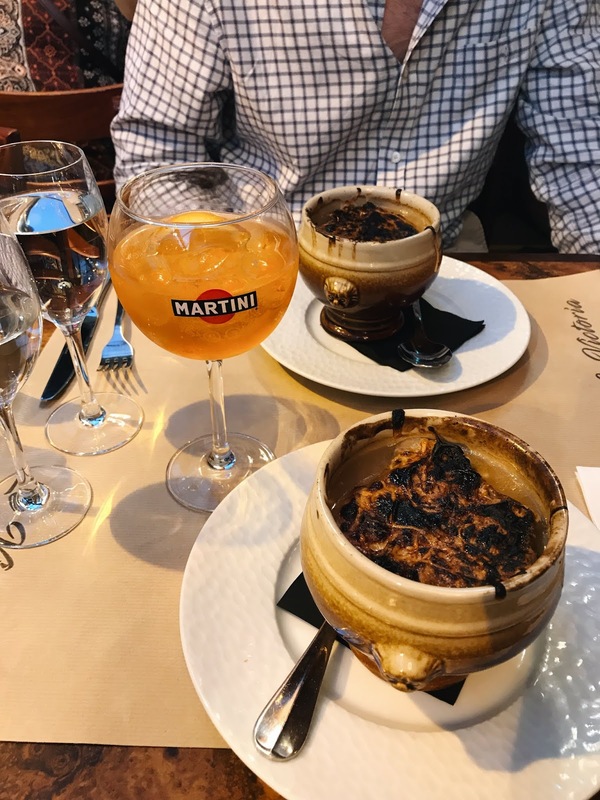 Hotel Costes: trendy drinks and a courtyard atmosphere! Berthillon Ice Cream: just get it and thank me later. Scoop Me A Cookie: my friend, Lily, recommends this spot for a warm, gooey cookie! 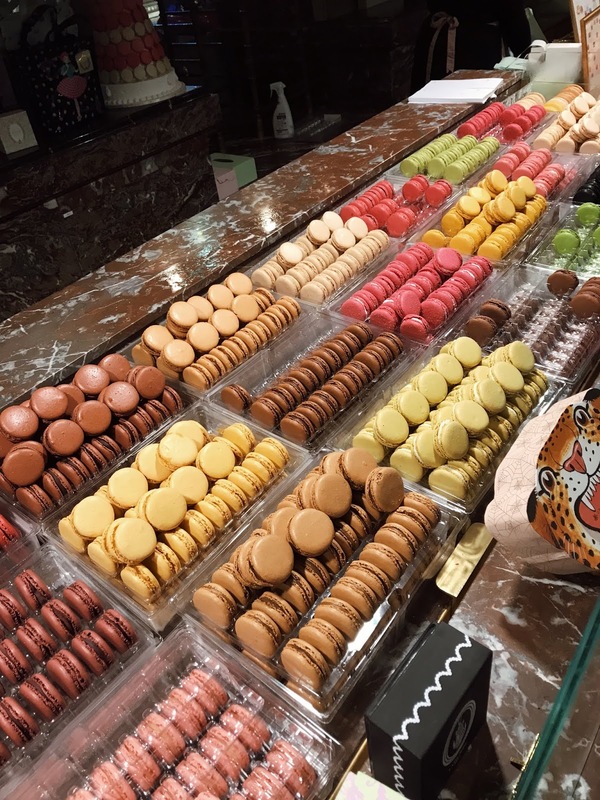 Laduree: for those iconic french macarons. When it comes to things to do or places to visit, the list goes on and on. To be honest, there's still half of Paris that we didn't make our way to simply due to time. For the second leg of our trip, we stayed in the Montmartre neighborhood in this cozy AirBNB with our host! He recommend a bunch of local spots - one small meat and cheese spot that was DIVINE before heading to picnic under the Eiffel Tower. In reality, no matter where you are in the city, you should be exploring the local hole-in-the-wall spots (that don't look too sketchy, of course) as they are usually the best. 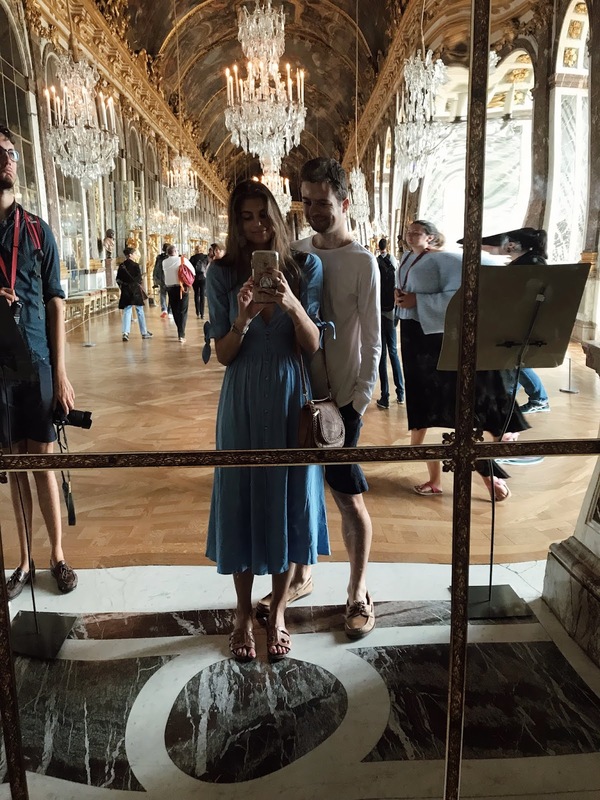 The Louvre: Expect it to be crowded with tourists when you go... You guys already know that Lantz and I aren't huge museum people, unless it's an occasion where you just have to go see the Mona Lisa in person while you're in France. 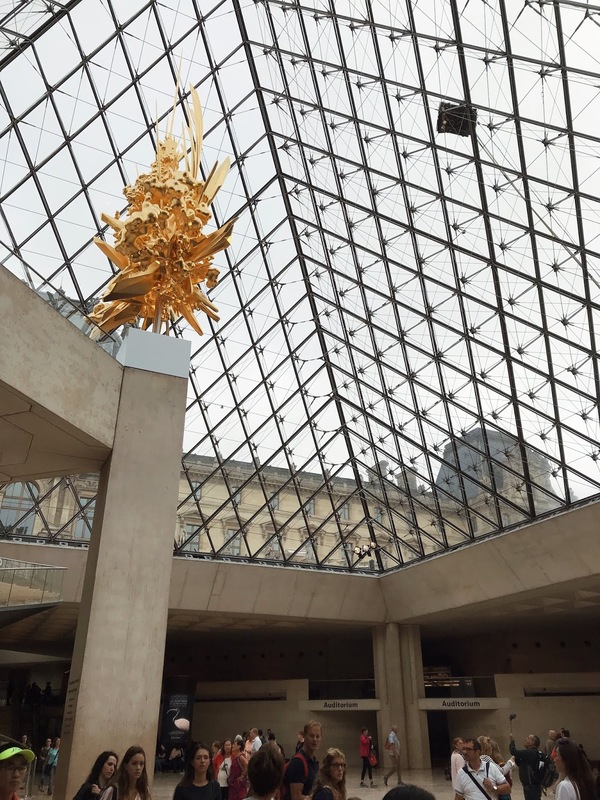 We spent about a hour in the Louvre before making our way out (we selected 2-3 exhibits we wanted to see and moved on with the day). Buy your museum tickets ahead online with a time reservation to skip lines! 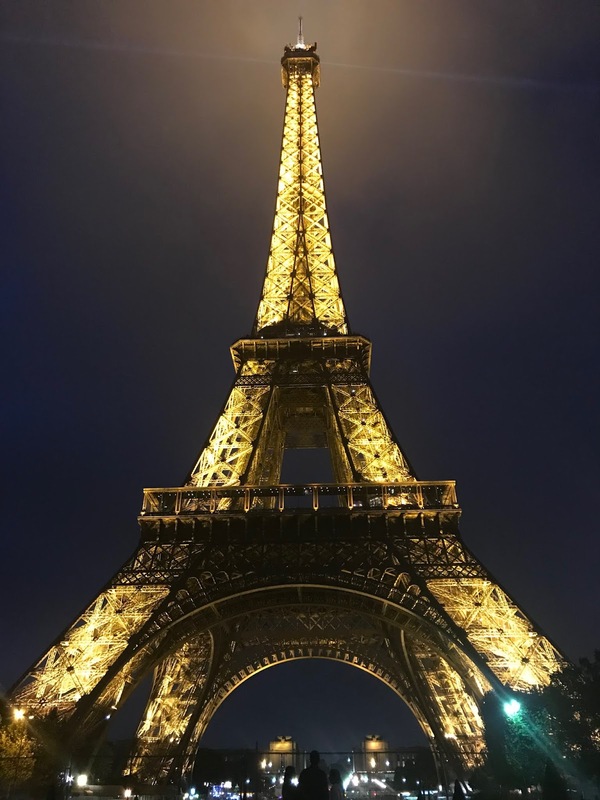 Eiffel Tower: While you can see this beauty all around the city, there's nothing like spending some time on the lawn in front of the tower - especially at night! The tower begins it's light show once the sun sets, and glimmers for 5 minutes at the top of every hour. One of my favorite moments from the trip was sitting under the tower with Lantz, some truffle cheese, proscuitto and the most delicious pink lemonade I've ever had. Arc de Triomphe: This area of town was actually one of my favorites - it's near the spot where we grabbed steak frites. 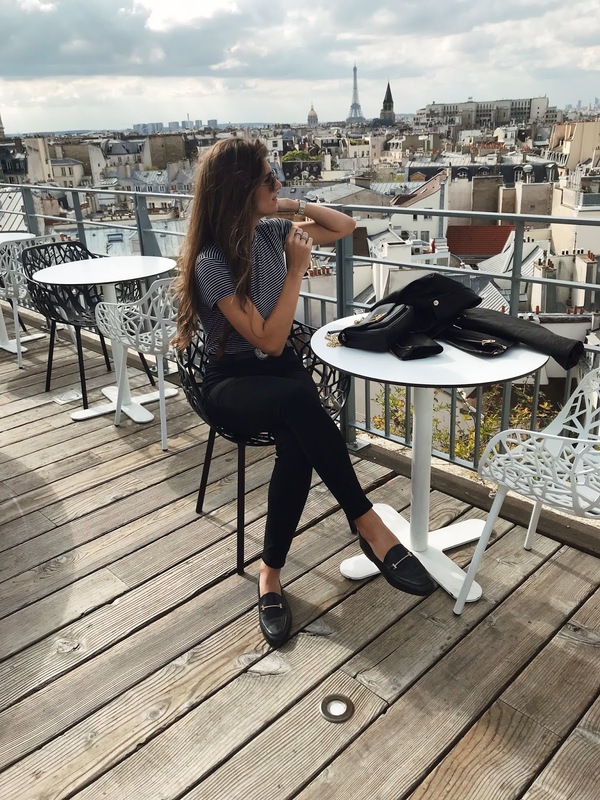 If you're interested in seeing a beautiful view of Paris, you can buy tickets to go to the top of the Arc and look out over the city. 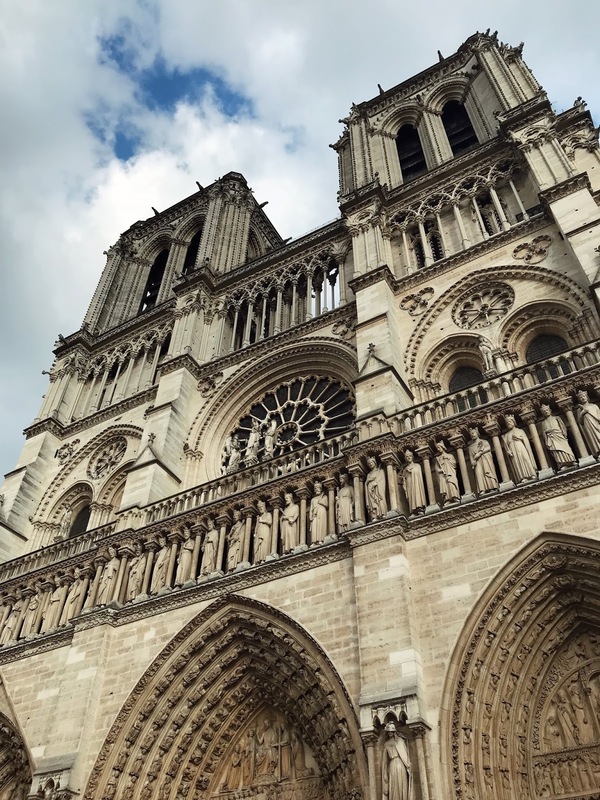 Notre Dame: This cathedral is absolutely stunning! We went inside during the middle of a ceremony, and it was incredible to see the entire church full, the music playing and the light coming in through the stained glass windows. You don't need a ticket to enter the cathedral, however you do need one if you're trying to go up to the top. Pont Alexandre III: This bridge is absolutely beautiful, and offers a great view of the Eiffel Tower at sunset. We walked over the bridge on the way to dinner and dessert under the tower at the perfect time! 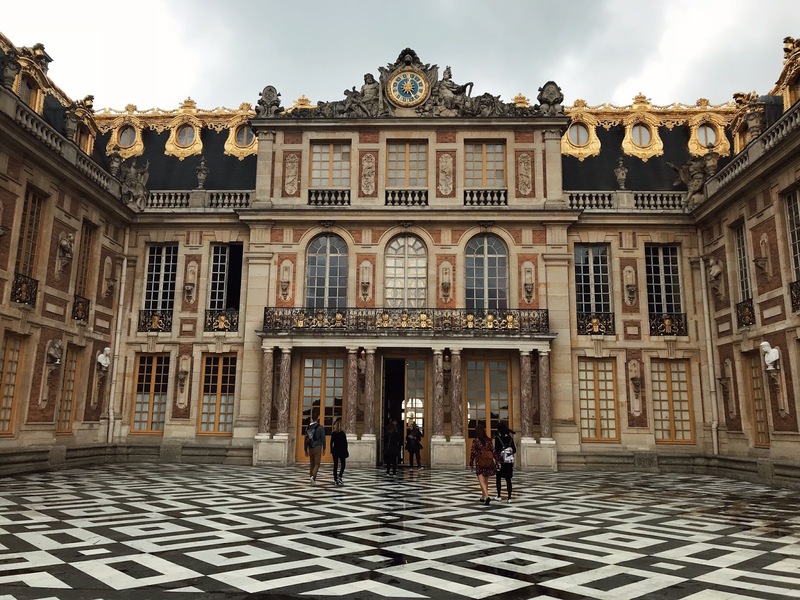 Palais-Royal: This former royal palace contains a beautiful courtyard that opens into cozy gardens. These classic black and white pillars are all around, and a fun photo opportunity if I do say so myself. 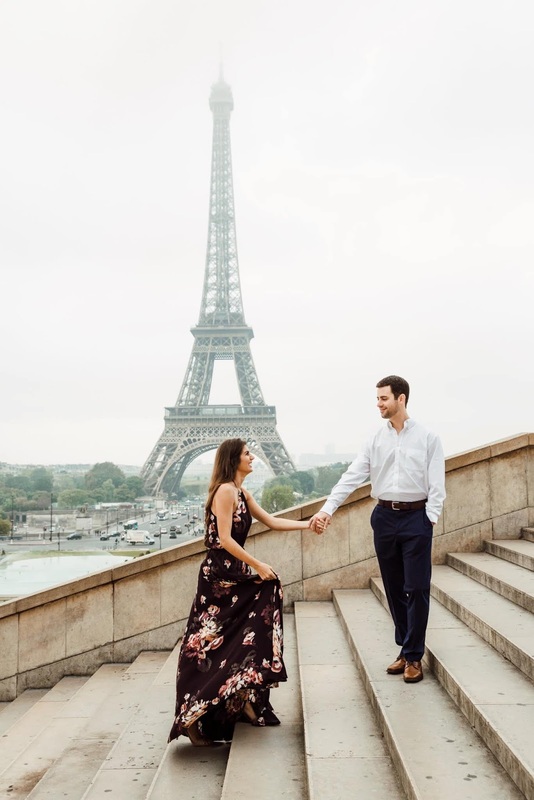 Trocadero: This large outdoor plaza overlooks the iconic tower and is a high-traffic spot for tourists to grab a scenic shot. You can head down the stairs and down across the street right onto the Eiffel Tower lawn for a lunch break. Again, there were so many charming spots along the way (tbh, I can't remember all the names). 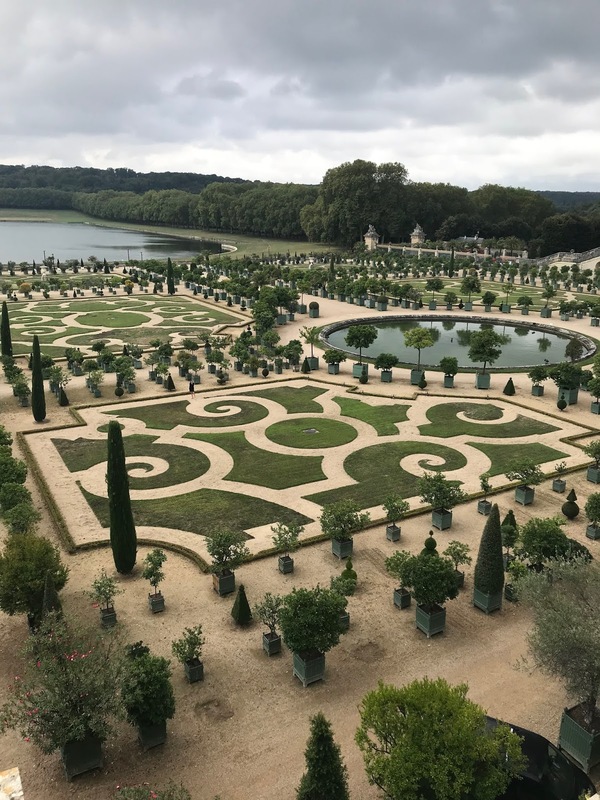 But if you're a first-timer to Paris, I suggest starting at these recommended spots and getting lost in beauty along the way! The metro is very easy to navigate, and definitely the cheapest way to get around the city when you're too tired to walk. In case you're in a jam, they have Uber! If you guys have any other questions about our trip or what Paris was like in the fall, don't hesitate to ask in the comments below! I love how this is specifically for millennial travelers! Thank you! I think we'd definitely approach the city differently if we were with family or had kids traveling with us, but an awesome place to explore! !